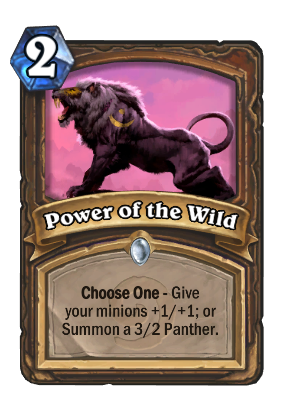 Choose One - Give your minions +1/+1; or Summon a 3/2 Panther. Never look a panther in the eye. 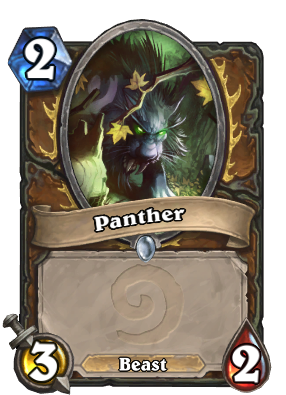 Or is it 'Always look a panther in the eye'? Well, it's one of those.